Small businesses rely on credit card sales and payments to grow and move forward; however, many small business owners can feel the weight of high credit card processing fees pushing down on them, especially in lean economic times. Reverting to a cash-only business isn’t reasonable, but there are some things you can do as a small business owner to avoid certain credit card fees that can really eat into your profits. When many small businesses sign up for credit card processing services, they agree to rent equipment, like new credit card terminals, even if they only need one that’s kept in an office and never accessed by customers. While it might seem like a sound decision to avoid paying a large amount for a terminal up-front, you’ll likely end up paying much more over a period of few years than you would if you just bought the equipment outright. 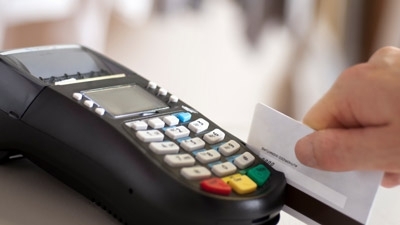 High-quality credit card terminals generally cost under $500 per machine. If you don’t need one that’s brand new, but still functions properly and is attractive, you’ll probably only have to pay $100 to $400. If you rent a credit card terminal, you’ll likely end up paying thousands over the life of the machine. Small businesses signing up for credit card processing services are generally offered tiered rates by providers. These rates generally result in merchants having to pay more per transaction and higher rates because they don’t process as much money in a given month as larger businesses do. However, that doesn’t mean your business won’t be able to get interchange pass through rates—rates that aren’t staggered based on how much money your business is dealing with. Not all processing companies offer interchange pass through rates, but they are not too difficult to find as long as you ask for them specifically by name. Credit card processing companies and their salesmen often try to get every small business to sign a contract for processing services; however, many contracts don’t offer discounted rates and come with an expensive cancellation fee. Being able to cancel your service with one processor is important since customer service can become poor at any point. You’ll also want to keep your eyes open for companies offering lower rates. Without a contract, you’ll be able to make the switch and keep more money per transaction. If your business is growing and bringing in more money than it did when you opened, you may be able to renegotiate your rates and transaction fees, even if you’re locked into a tiered contract with a particular service provider. To do this, you may have to play a little hardball and even threaten to cancel your service to make a switch to a company offering lower rates. In many cases, credit card processing companies will work with you to change your tier and lower your rate, especially if you’re processing $20,000 or more per month. If you need credit card debt help for your business, make sure you seek qualified professionals to get the assistance you need. Getting out of credit card debt can be tough, but there are ways to do it, and there are professionals out there that can help you.